When sitting under the stars, make a wish and thank the divine within you for providing your wish! Yes, these beings (flowers) have a different psychology and different senses for perception, but they are sentient beings just like you. They perceive you too while you perceive them. What do you think it's experience of you is? Hiking - There are many trails on the property, as well as on the dirt roads in the community around us. One could enjoy long walks in forests, fields, and country roads. 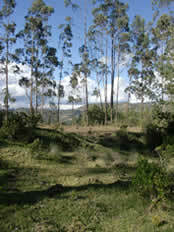 The views in every direction are amazing and it is always lush and green in Ecuador. There is never snow and there is never dry heat, just green! Perhaps that's why Ecuador is so healing. Hot tub - Enjoy a relaxed half hour or so in the hot tubs surrounded by nature. Loosen up your muscles before a massage. Have a conversation with new friends in soothing water. Hot Sauna - We have a hot sauna available for your health and rejuvenation endeavors. 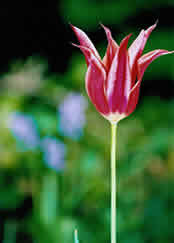 It is on for certain hours of the day, specifically during free time in the afternoons and evenings. Sit in the sauna for a while, then take a cool dip, very good for your health! Internet - Bring your laptop for wifi access in the community center area. If you need to transfer documents from your laptop to a computer in city, we suggest you bring a flash drive with you. For a lot more information about internet and internet speeds, please see our Internet Facilities page. 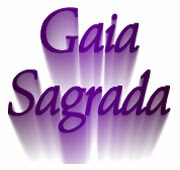 Meditation Spots - There are many areas to gaze at the scenery of Gaia Sagrada. There are benches and sitting areas everywhere. Just go on the trails and take a walk, you will find them. Hammocks - We have hammocks everywhere for you to use! Campfires - These happen all the time at Gaia Sagrada! People bring their guitars and instruments, sing, or just enjoy conversation by the fire. It changes with different groups of people as to what is going on at the campfire. Bring your guitar or other instruments if you want to have some campfire fun. Laundry Service - We provide a laundry service at $3/pound of clothes. We take care of getting your clothes washed, dried and folded. We can arrange day trips for groups to go somewhere in particular on Saturdays and Sundays. Taxis in the city: Taxis cost $1.50 to short distances, $2 if it's more than 5 minutes, and not more than $3.50 if you go from one side of town to the other. This is a fee you would split with everyone you're with as you take the taxi to your destination so it's not expensive at all. A taxi by the hour is approximately $8 - 10 per hour. Ecuadorians cannot make change for $10's and $20's all the time so make sure you take plenty of small bills with you. Gualaceo & Paute - These are two other nearby towns that you might like to visit if you don't want to go to the city of Cuenca. These are quaint towns that are absolutely wonderful. To go to their farmers markets on Sundays is a delight! Chordeleg - This town is a little bit past Gualaceo and is the silver capital of the area, with artisans and craftsmen adept at making all kinds of silver jewelry. It is amazing to see what they make. If you want a unique custom made piece or a repair to something you already have, these guys can do it. 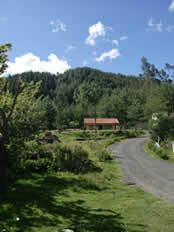 Aguarongo - Aguarongo is a nature preserve nearby, about 10 km away. It has multitudes of walking trails and places to see. 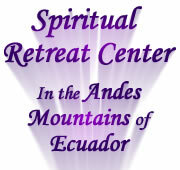 A reservation can be made to visit for a day trip and transportation can be arranged. 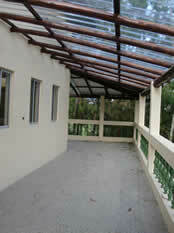 We will have excursions for different workshops to this beautiful place as well. Make time for yourself, and you will find that it is an investment well worth the time! 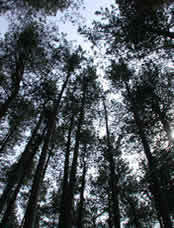 Listen to the wind rustling the trees and let your heart be soothed. Be at peace and let Mother Earth (Gaia) bless you with her darshan (blessing from a master). Peace is always here for you. Take time to relax and enjoy your life, because if you don't, what was the point of living?